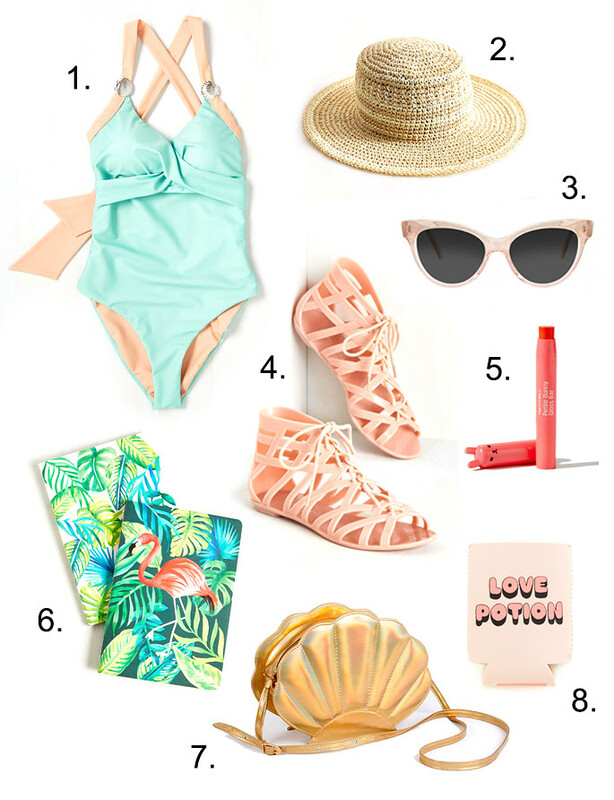 As the weather heats up, I'm finding myself dreaming of all the pretty poolside treats and treasures. I would love to be all fancied up in these lovely things, sipping a light cocktail and jotting down notes and ideas in that flamingo notebook. A girl can dream, eh? Ooh, that swimming costume is so cute! The shell purse as well.. would be so easy to channel Ariel or something :). I have those jellies and I love them! That sea shell purse and those coozies! So so cute! Dying over all this adorable summer stuff! Perfect for the pool! Love the sandals and handbag! The details on the one piece are the CUTEST! Skunkboy Frames are Back in Stock!